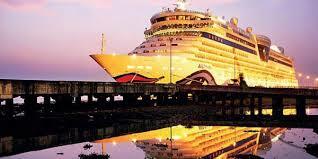 Cruise tourism in Asia is one of the fastest-growing sectors in tourism development. The number of passengers increased by an estimated annual average of 33%, going up from 775,000 in 2012 to nearly 4.26m in 2018. In order to capture the opportunities from the growing Asian cruise market, Asia Cruise Cooperation has been working on various consumer and trade marketing activities in the past few years. ACC delegates delivered key updates and initiatives to the media and cruise industry executives on the opening day of Seatrade Cruise Global in Miami. International air routes are expanding for travelers visiting Hainan, with 28 new routes to be opened to destinations in Europe, Oceania and the America by the end of this year. The hassle-free visa-free and visa-on-arrival policies have also contributed to the city’s popularity among foreign tourists. Residents of 59 countries, including those in North and South America, Southeast Asia and Western Europe, can travel to Hainan for about 30 days without a Chinese visa. Infrastructure is among the topmost priorities of Hong Kong’s tourism development. Pre- and post-cruise travelers can now reach 44 mainland cities nonstop from Hong Kong via the recently opened Guangzhou–Shenzhen–Hong Kong High-Speed Rail. The new Hong Kong–Zhuhai–Macao Bridge, known as world’s longest sea crossing, has reduced the travel time between Hong Kong and Zhuhai, providing convenient access to and from the mainland.